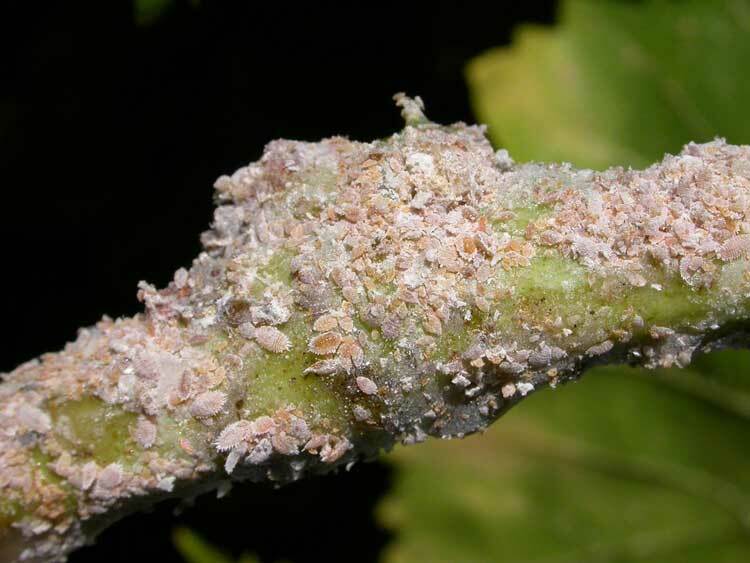 Vine mealybug (VMB)(Planococcus ficus) is the most significant insect pest of table grapes in California. Mealybugs are known for feeding within grape clusters and rendering them unacceptable for sale. Aggressive management programs are needed to ensure high fruit quality without mealybug contamination. 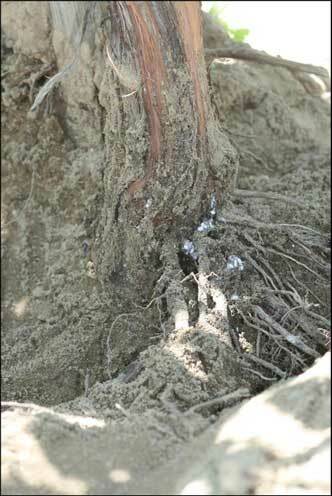 Table grape growers manage VMB through a combination of chemical and biological controls. Common treatments include chlorpyrifos prior to budbreak, buprofezin in the spring, imidacloprid through the drip system around bloom, spirotetramat during the late spring through early summer, and in some cases mid to late season applications of foliar neonicotinoids. 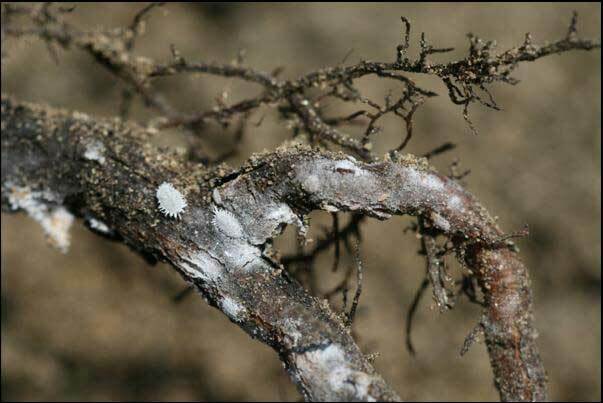 Use of these products has usually been successful at maintaining low mealybug populations. However, regulatory scrutiny over several products poses risks to future control via insecticides. Mating disruption (MD) is a relatively new technique that has the potential to improve integrated pest management programs for VMB. MD is considered a green, sustainable, alternative to traditional insecticides and does not have issues with maximum residue limits, pre-harvest intervals, or tolerances. It works by inhibiting the ability of male VMB to find females by inundating the vineyard with artificially-synthesized VMB pheromone. If males fail to find and mate with females, no offspring are produced. By this mechanism, MD does not kill mealybugs, but prevents egg hatch.